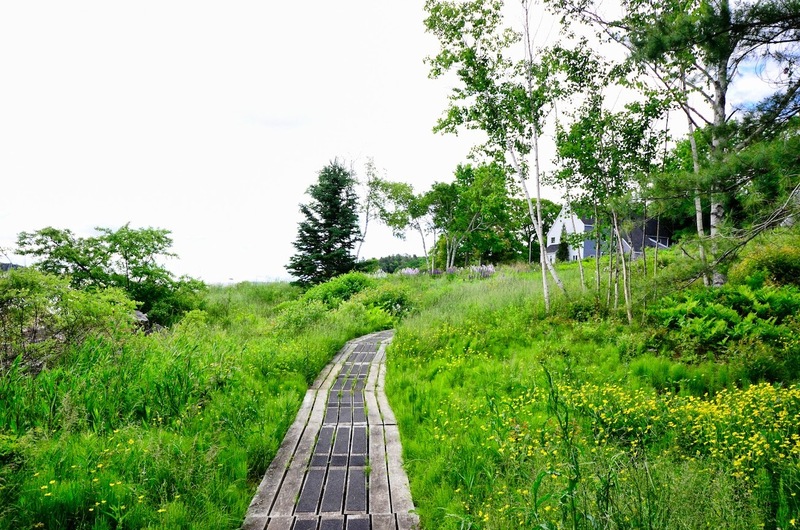 Can there be any more of a beautiful place than Maine in the summer? Especially in June when the lupines are in full bloom and the morning air is crisp with earthy smells of a beginning day. I have really never been a morning person, but now with puppies, that has changed. I guess that is good. I always wanted to rise with the sun, but the warmth and comfort of a soft bed always won out. Nowadays, the sounds of whining pups that will soon turn into ear-shattering barks should I not move fast enough, rule my world. when we have these gorgeous views to take in. Lucy and Harry enjoy their morning and evening walks. They especially like it when we arrive at the beach. some morsels in the seaweed. and lingering in the morning dew. life would be almost perfect. Lovely. I was there once a long time ago in early summer and really loved it. ah so vibrant a world you live in...i wanna follow that wood trail.. Nothing like "children" to give you a new perspective on things! :-) It is truly beautiful there, though! I do agree with Evelyn about the new perspective, but those "children" do have a way of making life even better! I do miss miss my Sam Schnauzer so much!! Beautiful place to walk and gorgeous vies plus lovely flowers! Doesn't get any6 better!! Hope your week is going well, Reena!! One time my husband was driving us home on back forest roads after having camped at Timothy Lake (Mt. Hood area) and we rounded a corner to see a field literally filled with lupine in a variety of colors! I was so amazed at the beauty and how many there were!! 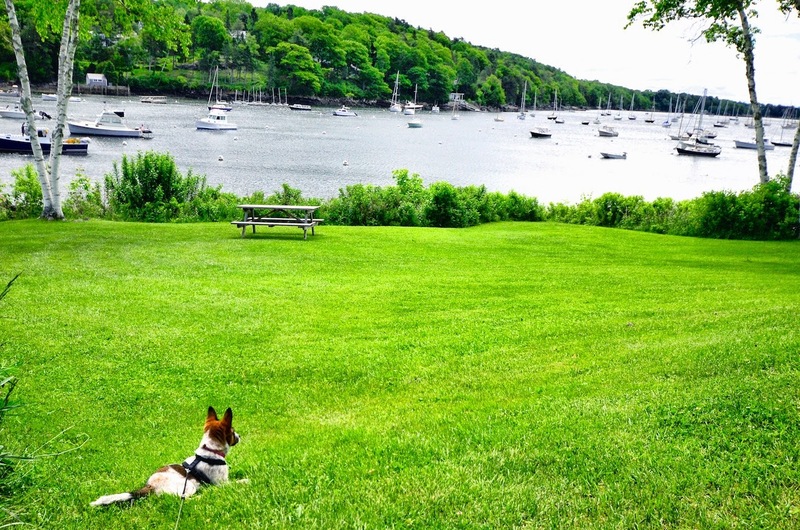 Summer, winter, or anytime, Maine is just the best. These photographs are beautiful, Reena, and I am glad that you are enjoying your time there. Those flowers (lupines) always have me imagining that I'm a lilliputian and those are trees. I can't wait to be there!! 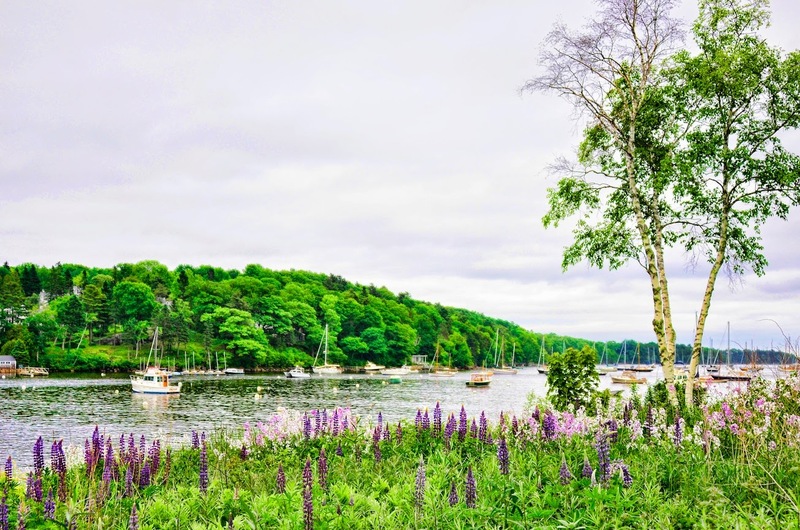 HI Reena...Just gorgeous our Maine coastal area, and those lupines are happily blooming away!! You have two cuties there, and I bet they give as much pleasure as they are work : } !! 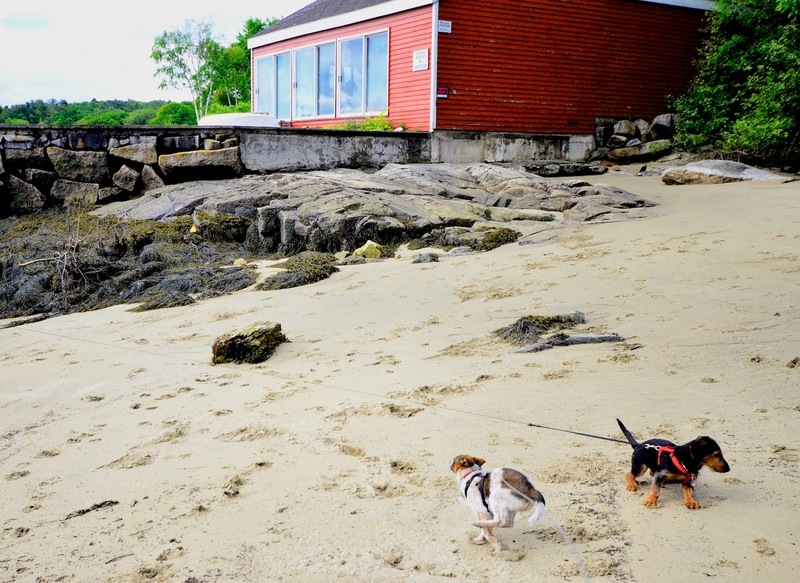 Looks like your new babies are going to have fun in Maine. Beautiful photos. Isn't it great to have summer back again! Fantastic photos! Looks like such a great walk to start off any morning. Hope life finds you doing well! For the first time in my life, I'm heading to Maine. In a matter of days, we will search for new life and civilizations:) I cannot wait to see this place. I've heard so much about it:) And now I'll be able to try something called a Lobster roll? Anyhow, beautiful scenic pics! 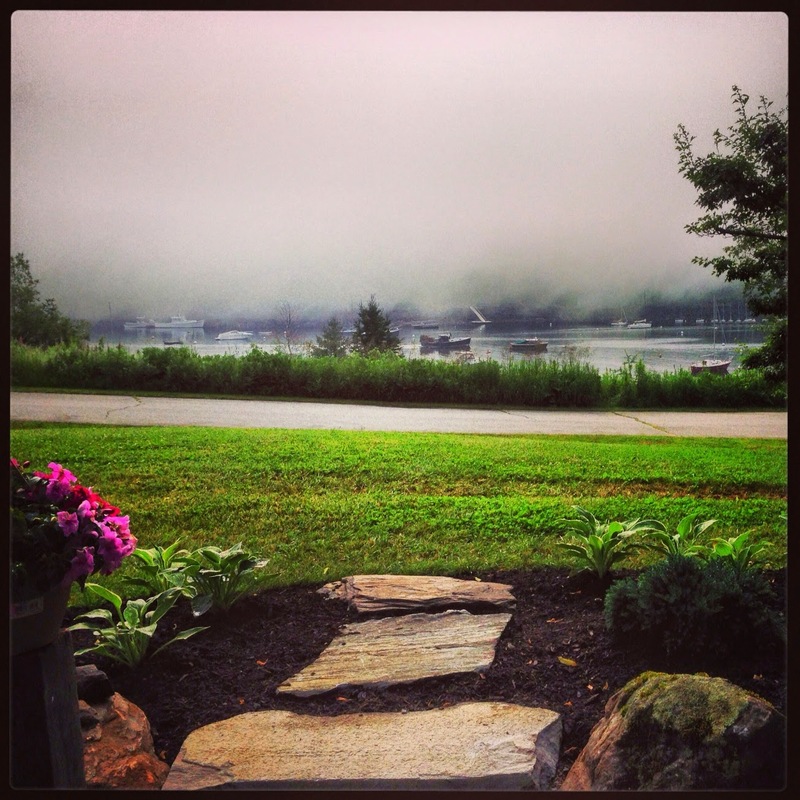 Love that foggy picture. I'll be in Maine in two weeks. Can't wait! not a morning person? dont you have children, reena? did they go to night school as children? - LOL! i know your whole life can change when they grow up and leave home. more time, money, energy. anywho, those two look so cute. glad they have each other to grow up with. cheers!! I'd love to visit there some day! These images are very nice!! 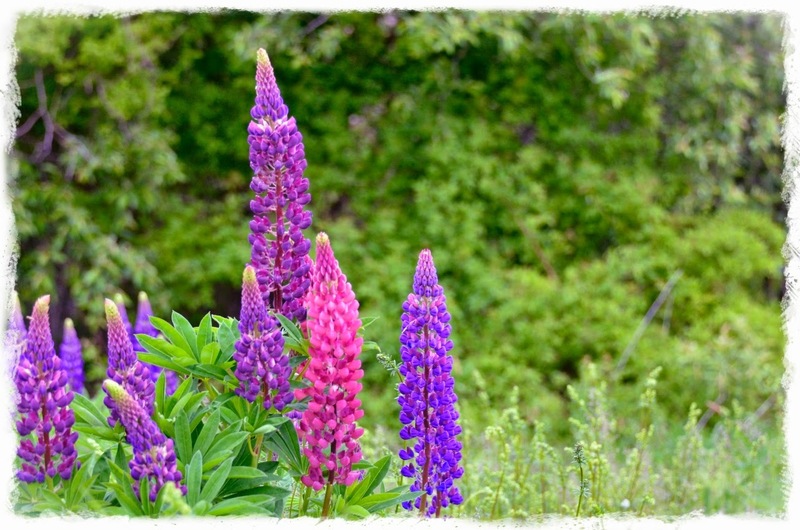 The colorful lupines bring back memories of living in Washington State. Hope your little puppies are bringing much joy to your life. Beautiful photography! New to your blog, I've come over from Kates! I know exactly what you mean regarding your pups. We have two now... Molly (20 months) and Abby (8 months). Two very different personalities, yet very loving. Pups are work, but the reward is unconditional love. "Missing Moments" has been included in our Sites To See #383. Be assured that we hope this helps to point many new visitors in your direction.